We use a rigorous application process, called peer review, to help us decide which research to fund. Our decisions are made with help from both patients on our Lay Review Panel and researchers on our Scientific Advisory Board to ensure we are not only funding the best quality research but also that which is important and potentially beneficial to patients. Peer review involves asking experts, across the world, who are scientists or clinicians with specific expertise, whether they think the applications we have received are of high quality. These expert reviewers give their time voluntarily to help us and other organisations that fund research. We also have a Scientific Advisory Board who meet in person to discuss the grant applications, taking into account what the external experts have said and also what our Lay Review Panel have said. Two members of our Lay Review Panel sit on the Scientific Advisory Board to ensure the voice of the patients is taken into consideration. 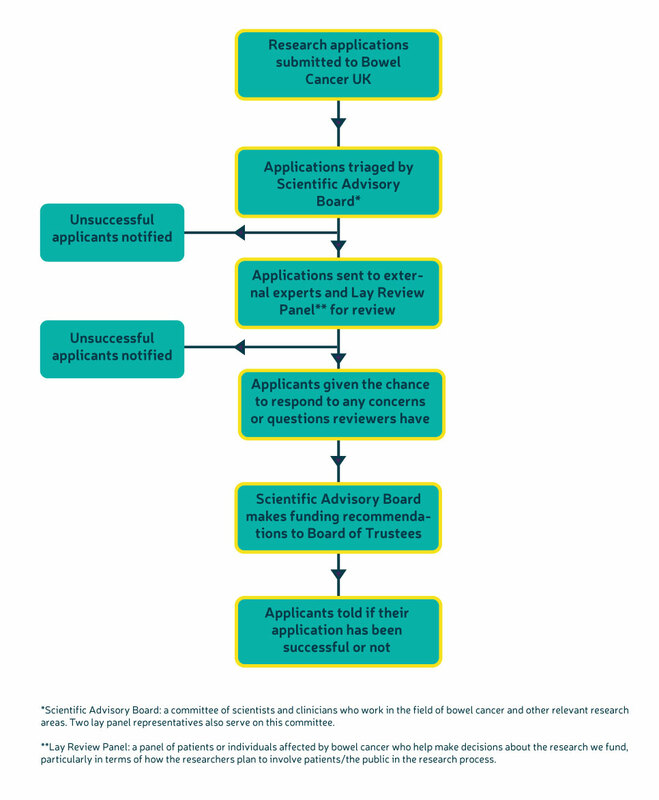 Member of both our Lay Review Panel and Scientific Advisory Board are required to sign up to our Conflict of Interest policy when they join the committee. The term of membership for each committee is three years with the option to extend membership for a further three years. We are members of the AMRC, which means we work to the principles of peer review that they have set out. Having AMRC membership is seen as a hallmark of quality research funding, and really important in helping us build our research activity as we move forward. You can read more about why membership is important on our blog.